If your clients had a bad year last year, it might seem easy to conclude that you shouldn’t take it personally, because your clients were far from alone. After all, market prices for individual investments are driven by macro-economic factors as well as factors specific to the investments at hand. And the financial crisis significantly undermined economic and investment confidence in many corners of the markets. On the other hand, there could be a good reason to take the meltdown personally. Our crisis has had important regulatory underpinnings. Those institutions we’ve created to help “stabilize” banking markets and to “protect investors” may not have done what they advertise heading into the crisis, as well as when dealing with it. On April 27, we held a conversation with Ed Kane, Martin Mayer, and Walker Todd–three people who have great depth and experience in understanding the plumbing, history, and effects of the regulatory infrastructure of our financial markets. Kane is professor of finance at Boston College, past president of the American Finance Association, and co-founder of the Shadow Financial Regulatory Committee. Martin Mayer is a prolific financial journalist, a scholar at the Brookings Institution, and the author of more than 30 books on financial market issues. Todd worked in the Federal Reserve System as an attorney and economist and is now affiliated with the American Institute for Economic Research. The conversation has been edited for clarity and length. Bill Bergman: Where does this financial crisis rank historically? Ed Kane: I call it the Great Recession. It hasn’t become a depression by any means, but it is the worst recession we’ve had since Keynesian economics led to a more active government acceptance of the responsibility to ameliorate business cycles. Martin Mayer: We were always going to have a bad patch. A lot of very dumb things had been done, particularly at the federal banks, but also, a lot of people’s worst instincts were pandered to, and they were inviting what is now fashionable to call the Minsky moment, when actually it looks as though it’s a Goldilocks moment–the economy was suddenly eaten by bears. Walker Todd: I would note that Martin’s book, The Fed (Plume, 2002), should be required reading for everybody to gain a view of the run-up to this crisis. You can easily see how we got here. This financial situation is the worst since the end of World War II. We looked at the charts at AIER last Friday, and virtually all the economic-performance charts were at unheard-of or post-war lows. This really is the big one. Kane: Officials panicked in September 2008, and the public lost confidence in their ability to manage. It is striking how in these different agencies, a small inner circle of people have closed themselves off to ideas from even the rest of their staff. I understand that in a lot of agencies everybody goes home on time, but this inner circle has been working itself to death. Along with panic, I think there is exhaustion and some loss of judgment, because they’ve been under pressure for so long. The whole crisis accelerated over the course of that week, while the Treasury and the Fed, which had not anticipated any of this, didn’t understand well enough how their own system worked. They thought that all that mattered was the banks. Meanwhile, all the informal sources of credit in the economy, which are bigger than bank loans in the commercial economy, faded away to nothing. These guys sat there and wrung their hands and wondered what was going on. Todd: The panic then spread into the general public after September and October because of the meltdown of 401(k) plan values. There, too, it’s not entirely clear who’s to blame. One wants to point the finger at the sell-side distributors of securities, but the typical 401(k) plan does not offer a vehicle with a proper hedge for the consumer in moments like these. I, like other investors, was confronted with the question of: Do I go all to cash, risking the devaluation by the Fed of the value of that cash in the future? Where were the commodities? Where were the gold funds offered in 401(k)s that would both offer investors some protection and upside against future Fed inflation? Bergman: Martin, you had an interesting story in The Bankers (Plume, 1998) about the origins of AIG’s financial products unit. To what extent was AIG and its involvement in the credit default swap market at the center of the storm? Mayer: Certainly, it was the center of the panic. That the Federal Reserve system would support, on very dubious legal authority, an insurance company with $180 billion of advances so that this insurance company could get away with the fact that they wrote policies and never put aside any reserve to be able to pay them–it’s a disgrace. Incidentally, this problem is by no means gone, because one of the reasons you can’t price assets is that nobody knows whether they’re really insured. Nobody wants to release a loan that may in fact be insured, but no one knows whether it’s insured or not. Kane: Another point is that these so-called “hard-to-price assets” have much more value to “zombie banks” than to anyone else, which is why there is no liquidity in that market. The deeply insolvent institutions want what everyone else calls “toxic assets” because it gives them a chance to climb back if the economy recovers well into solvency. Bergman: Ed, you coined the term “zombie banks” in the S&L crisis. What inspired you? Kane: It was just an attempt to make clear to people the dangers of keeping an institution that was deeply insolvent alive, or at least walking. The notion of the zombie is that it would be put in its grave by its creditors if it weren’t for the black magic of government credit support guarantees and loans. These institutions have very distorted incentives, just as the zombies do in the horror movies. They’re looking for things that even might have negative present value but have a possibility of producing good results. It’s a long shot bet to plug a hole in their balance sheet. The trouble with the zombies is that they ruin the market for everyone else. They’re not looking for solid investments but something that has a chance of a big payoff. They’re willing to pay more for deposits or funding generally than other institutions, so they spread “zombieness.” They make other institutions have trouble earning a living. Todd: It is the dead feeding on the living. Bergman: Martin, you used the words “dubious legal authority” for the Federal Reserve’s lending. Walker’s done a lot of work in that area and Section 13(3) of the Federal Reserve Act. Walker, could you describe the origin of Section 13(3) and its relevance to this crisis? Todd: Most of the actions the Fed has taken since the spring of 2008 have been said to be under the authority of Section 13(3) of the Federal Reserve Act. That’s an emergency powers section that was plugged in first around 1932. It gave the Federal Reserve Board of Governors the power in “unusual and exigent circumstances” to make loans directly to individuals, partnerships, and corporations–not just to banks or other financial institutions. It required a positive vote of five members of the board to invoke this authority. It was rarely used during the 1930s because the Reconstruction Finance Corporation was created and made the great bulk of all the loans that this statute was originally contemplated to do. That Section 13(3) authority, in fact, was not used after 1936. Until 1991. In the dark of night during the Senate markup of the FDIC Improvements Act, lobbyists for the investment banks saw to it that Sen. Christopher Dodd introduced an amendment that would waive the statute’s technical collateral requirements, because the statute required collateral of the type eligible for discount at the Federal Reserve–which was short-term trade-related obligations and certain government securities. By and large, investment banks did not hold that kind of collateral, but they had lots of stocks and bonds and other things that were not eligible for discount. So the collateral requirement was changed to any collateral satisfactory to the Federal Reserve Bank, and that meant that investment banks could borrow at the Fed for a change. Now, I opposed that change, and I identified it in an article that was published by the Cleveland Federal Reserve Bank in its Economic Review in the third quarter of 1993. The publication of the article created an internal firestorm. The Board of Governors really came down on me hard for having published it. Years later, we find out why. They wanted to use that power if they had a big enough emergency–as they thought they did once Bear Stearns went down–to make a bailout loan to an investment bank. This stands the entire Federal Reserve Act on its head. The exceptional rule–the emergency power–has now become the regular way of doing things and the quantitatively dominant method of extending credit for the Fed. 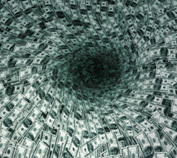 It’s very bad from a number of perspectives, not the least of which is institutional structure, because it means that the narrow and insular views of the Board of Governors together with the New York Federal Reserve Bank, the entity that’s making these loans, are the only views listened to in deciding when and how an emergency loan is being made. Basically, the credit gets booked and then the other Reserve Banks are required to eat a pro-rata share of these loans through loss-sharing agreements and the like. It’s a process that needs to be stopped. They need to channel all of this out into something like a newly created RFC. The only other alternative would be to just explicitly require the Treasury to take these loans off the books of the Fed, to recapitalize them and refund them with Treasury debt issues. Kane: What do you think is going to be the long-term effect on the Federal Reserve as an institution? It has exercised discretion it was never given. The independence of monetary policy was always the central principle underlying its responsibilities and discretion. By putting bankers and brokers first in the line out of all other members of society, do you think that the Federal Reserve can retain its independence going forward? Todd: Martin, do you want to respond to that? Mayer: I have been very disturbed about the way this thing has worked in terms of body language. [Fed chairman from 1951 to 1970] Bill Martin was very reluctant to go to the White House for lunch with Lyndon Johnson because he thought that he was not part of the executive branch, which indeed the Fed is not, remember? The Constitution gives Congress the power to coin money and regulate the value thereof. [House Banking Committee chairman from 1965 to 1975] Wright Patman used to say, “We farmed it out to the open market committee of the Federal Reserve.” The basic source of the Fed’s real authority is in the Congress, not the executive branch. It was always Bill Martin’s feeling–and it was certainly the feeling of [Fed chairman from 1979 to 1987] Paul Volcker–that they were not part of the executive branch. They didn’t take dictation from the president of the United States, and indeed, Lyndon Johnson blew his stack about Martin once raising interest rates, but Johnson couldn’t do a thing about it. I think all of this has been lost. The Fed has sacrificed under Ben Bernanke, as it had under [Fed chairman from 1970 to 1978] Arthur Burns, quite a lot of its independence. There should be a law that prevents academics from becoming chairmen of the Fed. Kane: Do you think that there’s something just inherently weak in the experience of these people–that they haven’t had enough tussles to be able to stand up to authority? Mayer: I think so. The experience of being an academic is not good for the sort of self-assertion that Bill Martin was good at. Todd: The main problem with these guys is that they never examined a bank and they never made a loan before they got these jobs. Tom Hoenig of the Kansas City Fed wrote a very interesting speech, essentially dissenting from current Fed policy and advocating explicitly that the new lending activities be channeled off into a newly constituted RFC. He does have a Ph.D. in economics and he is a Keynesian, but he came up through the bank examination channel and served as the discount window officer at the Kansas City Fed. As he used to put it, unlike all his other colleagues at the Federal Open Market Committee meetings, he had in fact examined a bank or made a loan, and nobody else sitting at the table had ever done that. Kane: I think it’s wrong to suggest that it is a matter of individuals. I do think there’s a terrible problem in how we recruit top officials in government, but I suspect that whoever would have been Fed chairman at this time, whether he was an academic or not, would have been subject to intense pressure to do what the Treasury wanted, what Wall Street wanted, to keep from having these losses go to counterparties who are politically very powerful. A person would have to be extraordinarily tough to survive this pressure. Kane: Volcker was a unique person, and we were lucky to have him at the time. Todd: He would have been the best choice for chairman, but I have seen him cave on occasions when he shouldn’t have. Kane: You’ve worked in government, so you know how intense these pressures are, and it’s always hard to do the right thing. Someone who does the right thing 90% of the time is a hero in Washington. Todd: In Washington, 70% is good. Mayer: The thing that shocked me the last few days is the fact that the Fed is now insisting that on the Term Asset-Backed Securities Loan Facility, it all has to be rated by the same stupid rating agencies that got us into trouble to begin with. What’s wrong with these people? Kane: It’s plain avoidance is what it is. It has been very convenient to let these credit rating organizations call themselves “agencies,” even though they aren’t. I’ve been objecting to that term for decades. Bergman: It’s also the way the government incorporates credit ratings into their own regulations, thereby downloading the regulatory responsibility on the rating agency. Was that part of the problem? Kane: Absolutely. One has to remember that these are profit-making institutions. Issuers will would pay more money for a good rating than a bad one, and issuers are very clear what kind of ratings they want. This is a straight-forward way to pay bribes without ever violating the law, it appears, and the credit rating organizations do not take formal responsibility for their incompetence or negligence. Mayer: One of the untold scandals of this country is that our museums are stuffed with fake old masters because the people who authenticated paintings for the Mellons and Morgans of this world were paid a percentage of the price for the authentication. If they said it was no good, they got a few hundred bucks. If they said it was great, they got $100,000. Same story in the credit-rating organizations. Todd: Right. They also drop the ball. I’ve been around failing banks and financial crises since 1974, and the rating agencies have dropped the ball almost every time. They were always at best late to the party. Mayer: John Heimann [former comptroller of the currency] used to say that the function of the ratings agency is to go on the battlefield after the battle is over and shoot the wounded. Bergman: Maybe we’ll learn something from that and pass some legislation. Kane: Oh, I don’t think so. All kinds of regulations are reasserting the role of the credit agencies. You know what is really disturbing? If you take something like a money market fund, it isn’t a matter of rating the portfolio’s individual securities. Rather, the focus should be on how the portfolio as a whole rates. The current focus says it’s okay to take a lot of things that are investment grade, as if that could keep people from taking a lot of credit risk. Many firms, as we know, were concentrated in their real estate risk exposure, most of which was rated as being investment-grade. Todd: In historical time, this credit-rating mess was created only the day before yesterday. Before the 1990s, I don’t think you’d find any explicit incorporation of ratings into federal bank supervisory regulations. So it’s something that could be undone. For those who say that we’re stuck in the world we’ve created, I think it’s easy enough to do: Just rewrite the regulations to take the rating agencies out of it. Bergman: One other thing historically we’ve learned to be concerned about is rapid growth in banks. One of the fastest-growing banks out there is the Federal Reserve Bank in New York. Should we be leery about this? Kane: We’ve been leery of this throughout our entire discussion! The assertion of the right to make all kinds of risky loans in the context of a staff that lacks experience in lending goes back to what Walker was saying. We know that the trick is to get the money back, and there doesn’t seem to have been enough effort to be sure they can get the money back. It’s just this belief that somehow if you kept putting money into these zombies, the tide will turn and everything will get well. Mayer: The notion that the nation’s currency is backed by a bunch of junk bonds and CDOs and such things on the books of the Federal Reserve District Banks is pretty scary. Todd: I looked at the currency tables last week, and currently it’s about 40% backed by mortgage-backed securities and the like. There’s still somewhere around a 50% to a 60% backing by full faith and credit Treasuries. Of course, you could argue that that’s nothing other than a feedback loop. How does the full faith and credit Treasury get paid off? The answer is by taxes or by borrowing. There’s no gold claim. Mayer: The two weeks after Lehman, there was a huge rush into actual euro notes– under mattresses. The disappearance of euros was one of the things that was confusing to the European Central Bank. Bergman: In our monetary aggregates, in the past six months the currency component of M1–the currency circulating outside of banks–has risen at the fastest rate for any six-month interval since World War II. Mayer: They never heard of gold. Bergman: What do you make of the government’s stress tests on banks? Todd: Let me chime in with a little bit of background. In Washington, the party line of both parties is that we don’t want to know anything about what was done in the U.S. in the 1930s, in part because of the political perception that that would be admitting that we’re reliving the 1930s. Neither party wants to bear that onus. So whenever I talk about the Reconstruction Finance Corporation or temporary nationalization or bank holiday or some device that gets you to more or less the same point of a quick, simultaneous fair market value evaluation of the banking system, nobody wants to hear about it, because my reference point is what was done in the U.S. in the 1930s. But if a reference point is foreign, they’ll listen to it. So they talk about the Swedish model of 1993 or the Japanese bank model of 1999. But both of those models were in turn relying on what was done here in the U.S. during the bank holiday of 1933, which was led by the RFC. Kane: I would like to underscore Walker’s point. The term zombie bank came up in some hearings, and Bernanke said that the term had been invented in Japan in the late 1990s. Mayer: It’s yours, that term! Kane: No question about it. He said this, I believe, because he wanted to give the notion that we didn’t have anything in our history that you could compare it to. It shows the extent to which people will go to make it seem like this is a unique time in American history and that we have to have creative responses without any guidance from the past. Bergman: Will we see any more backbone on the part of our regulators in the next year? Kane: I think we will only because they’re going to see that what they’re doing isn’t working and can’t work. It’s one of these instances where people eventually do the right thing, but only because there’s no choice to do anything else. Todd: People ask me, “When will you get the RFC?” My answer is when they’ve tried everything else. Mayer: Well, I think that the bolstering of the commercial paper market has in fact done some of the things that they had hoped it was going to do. It’s in the banks, where their proper responsibility and powers are, that they’re screwing up. Todd: I agree with you, Martin, that the Fed has succeeded a little bit better than I thought it would in propping up the commercial paper market, which looked to be on its last legs last fall. But I think that has a short half life, and I can’t imagine that that rosy new world can last long in light of the continuing rise of unemployment, and the prospective shut down of half the automobile industry in the heartland. In agriculture, there are equally scary things happening. I think all the chickens will begin flocking home to roost in about the middle of the third quarter. Whenever the further downturn comes, if I’m right, what will these players do then for an encore? What happens if and when the next downturn comes? Mayer: I think one of the questions that has bewildered me is why there isn’t more work done on the question of what’s in the black box at the Fed when they put money out? How does that thing work? Where does the money go out? It seems to me that what Greenspan did was to put out money, and because it didn’t go into consumer price inflation, they could ignore the fact that it went into dotcoms and then it went into housing. But the Fed money goes somewhere, and it gets used by people eventually. In some periods of time, it goes to real estate. In some periods, it goes to real production. In some periods, it goes to inflating paper of one kind or another. What distinguishes one period from another? But I am not as pessimistic as Walker. The flooding of money is, after all, worldwide at this point in the game. I note with fascination that we hear that the IMF is talking about issuing bonds that will be bought by the Chinese, Indians, Brazilians, and, God save us, the Russians. Who has the big dollar reserves and how can you get them to pump them? You get them to pump by giving them paper. Half the population of the world is still looking forward to next year. The other half is looking forward with dread, but half of them will keep going. You combine that with this flood of money, and we may muddle through it. Todd: Is the danger, though, that after you muddle through it, you reach the other side of the downturn and you look across and see the monetary tsunami coming back at you of all the liquidity you have created? Mayer: And then what do you do about it? I agree with that. I think the people who are in office three or four years from now are going to face some really nasty decisions. But in terms of how much deeper does this go, I’ve become a little less pessimistic in the last month myself. Kane: But when you say you’re less pessimistic, it is presumably because you expect inflation to cause a lot of nominal repricing that will make losses go away. It’s just a question of one poison for another. I don’t see how in the world the Fed can believe politics will allow it to extract even half of the huge amount of free reserves that are just waiting to become money supply. Bill Bergman is a senior equity analyst with Morningstar. He also contributes to the Markets & Economy blog for MorningstarAdvisor.com.